So Talking Adelaide's sub-blog, Short St Style, was left kinda hanging last year. J'adore butterflies. Live ones fluttering in the garden; dead ones pinned behind glass; metal ones - one of my favourite necklaces is a silver butterfly from Witchery, that I've had for years. No surprise then I've a tad obsessed with this new season collection video from the house of Valentino. It might also have something to do with the soundtrack - Artie Shaw's Stardust. He was a legendary US clarinetist and big band leader. You'd know his recording of Cole Porter's Begin the Beguine. I'm partial to big band music from the 1930s-40s - Moonlight Serenade by Glenn Miller is a fave. Going to listen to Stardust all day. Watch the video here - I'll have the olive satchel, please. It’s hard to imagine life without wine. Living in South Australia and having “grown up” working in the media, wine was and has always been part of life. And there have been many, many good ones. While Talking Adelaide is openly un-parochial about wine – with a winemaker in the family (David Lloyd of Eldridge Estate Red Hill) on the Mornington Peninsula and a slight obsession with Champagne, and Chablis, and Burgundy….- there are lots of local wines that are truly wonderful. Of course there is one wine from South Australia that has an international reputation above all others, Grange, bien sur. Although winemakers around Beaune must live in a bubble because none of the ones we met in May this year had heard of it. Anyway, the point of this post is to congratulate our dear friend, the brilliant photographer Milton Wordley, whose book A Year in the Life of Grange is up for an international book award. It has won the International Gourmand Wine Books 2013 Award in Australia and now is up for the international category. Morning tea tipple at Penfolds. As you do. Milton spent 18 months documenting the story. The result is a book totally produced in South Australia. Concept and images by Milton; words by Philip White; design by John Nowland, printed by Finsbury Green. The book was launched on October 18, where else but at Penfold’s Magill Estate. 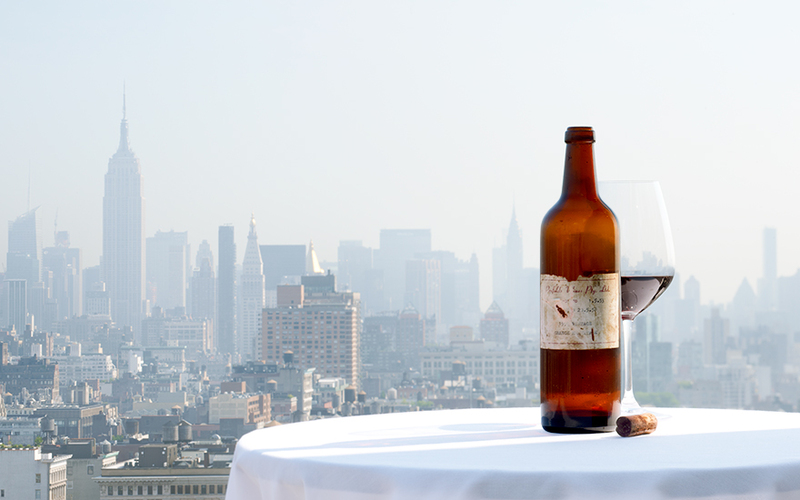 It was a picturesque Adelaide morning – fancy drinking Grange 2004 for morning tea! With smoked oyster pasties and Grange pies by Anne Oliver. Don’t just believe me how beautiful this book is, here’s what some others think. Whitey and Milt at the book launch. Here comes the call to action: if you know someone who loves and appreciates wine and a great story, then why not consider A Year in the Life of Grange ? Perhaps as a group present, a mega-Kris Kringle? There are three editions, starting at $785. You can find out all you need to know here at the book's website. I've been sitting on this post for a while but given there's a hint of sun and more to come, it seemed appropriate. Friends and family would probably say my favourite colours are pink and red, when actually they're yellow followed closely by a colour with the official trademark name Tiffany Blue. It's close to a robin egg's colour and is a produced by Pantone exclusively for Tiffany the jewellery company. Shades of aqua and turquoise come close and they just happen to go well with yellow. My love of yellow starts with my front door - which is a lemony shade of yellow. I am more attracted to citrus shades of yellow rather than the golden variety. As one of my favourite bloggers Mark D. Sikes wrote in June: "Nothing say hello like yellow! sunny, fresh, warm and chic! Instantly lifts, instantly brightens, instantly welcomes! lemon yellow, golden yellow, mustard yellow- whatever shade, hello yellow!" For some time I've been collecting images on yellow to create a picture gallery and have just seen street style photographer Bill Cunningham's latest video on the New York Times. Bill who has a canny knack for noticing street trends on Manhatten streets, has picked up on the popularity of yellow as an autumn hue especially among those lucky enough to attend the latest Spring Summer '14 collections showing in New York Fashion Week. Watch Bill's vid and enjoy my gallery. Splash out on a bit of yellow this weekend. Bill Cunningham of the NY Times says "joyous sunflower colours were a favourite of many women during Fashion Week, on shoes and print dresses"
Catherine Truman's "fish gates" behind the Art Gallery of SA. There are 108 pieces of public art in Adelaide’s inner-city, from behind the Zoo in the north to the south parklands near Greenhill Rd. I didn’t personally count them, that’s just how many are tagged on the excellent (but slightly dated) walking guide to public art published by Adelaide City Council. It’s dated because it doesn’t include the 11 additions on the Bike Art Trail, which Talking Adelaide has posted about previously here. Among the other 108, the oldest dates from 1923; it's in the Art Gallery’s northern courtyard, the bronze sculpture La Vierge a l’Offrande (Virgin of the Offering) by Emile Antoine Bourdelle (a prolific French sculptor). Impressive is just how many women feature on this list of 108. My attention to the gender split was inspired by this year’s London Art Audit – which found that in east London, only 14 per cent of public works of art were created by women, while in the boroughs of Westminster and the City of London it's just 8 per cent (of 386 public art works). The Guardian’s story about the audit by East London Fawcett (ELF) is here. Reading this prompted me to carry out my own unscientific audit by counting how many women appeared on the City of Adelaide public art walking guide. Of the 51 pieces listed as being in the Riverbank, Adelaide Zoo, Festival Centre and North Tce precinct, there are 15 by or co-credited to women. That’s 29 per cent. Of the 57 found across the rest of the inner-city and parklands, 20 are by women – that’s 35 per cent. A lot better than in London, but still under-represented when it comes to men. The earliest piece of public art by a woman is the rather lovely modern looking sculpture in the Pioneer Women’s Memorial Gardens, by Ola Cohn for landscape designer Elsie Cornish. It appears the next work by a woman didn’t appear until 1963 – Norma Redpath OBE only died in January this year. Her Immortal Warrior bronze is outside the former Reserve Bank building (now part of Flinders Uni) in Flinders St, near Victoria Square. Then it was a gap of another decade, until 1973 when the Adelaide Festival Centre Trust acquired Ultimate Form, by legendary UK sculptor Dame Barbara Hepworth. I’ve seen this piece dated 1970 and 1971 – either way it didn’t appear hear until the Festival Centre was opened (this year is its 40th anniversary). Bronwyn Watson writing in The Australian last year quite rightly says this piece “graces” the AFC’s lawns. It does. Arguably the most popular piece of public art in Adelaide is by a woman – the four pigs in Rundle Mall. This work unveiled in 1999, is actually called A Day Out, by artist Marguerite Derricourt. Angela Valamanesh, partner to fellow artist and husband Hossein, has several credits as does Margie Patrick (in the Westpac House foyer); while just three indigenous women (Eileen Karpany, Pantjiti Tiyangu McKenzie and Chetana Andary) also make the list. 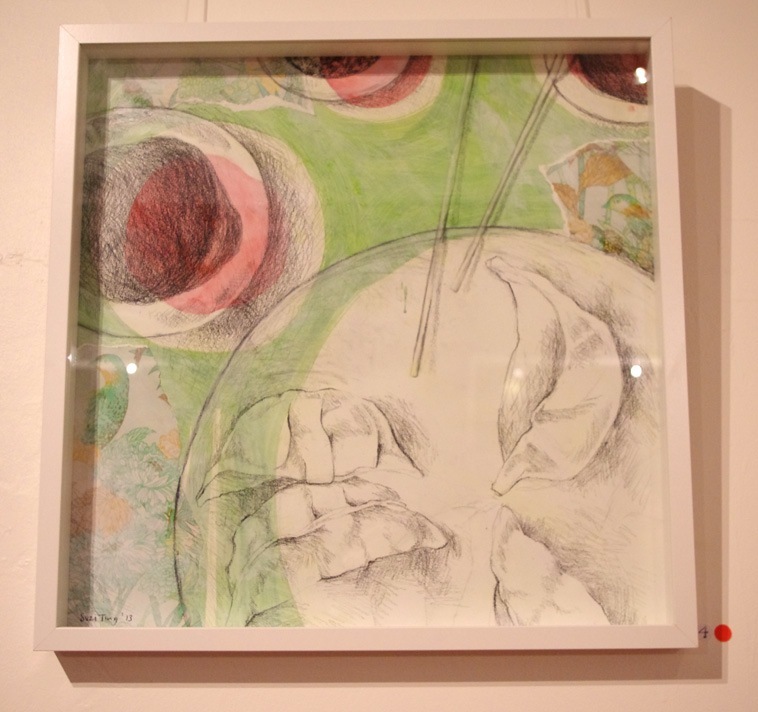 Two of my personal favourites are by the same artist: Catherine Truman. Slate Pool Walking – known as “the fish gates” in my family (and pictured at the top) are at the back of the Art Gallery and her Way of Seeing – those beautiful perpetually autumnal leaves that hang off the north face of the David Jones building. Catherine Truman's autumn leaves or Way of Seeing on North Tce. Have you got a favourite piece of public art in Adelaide? Share. If you're a regular Central Market shopper using the Grote St entrance, you may have noticed this spectacular addition to the streetscape. Titled Onion Rings, for obvious reasons, the food-inspired bike rack is by the creative art duo Greg Healey and Gregg Mitchell, of Groundplay. They're responsible for the vibrant yellow oozing down the side of the Lion Arts Centre, West End, which they say "pays homage to the original tenants, D&J Fowler, whose Lion brand custard powder was a staple in many Australian kitchen cupboards". Onion Rings is listed as No.1 on a new map - the Adelaide City Bike Art Trail. Check out its cute design here. 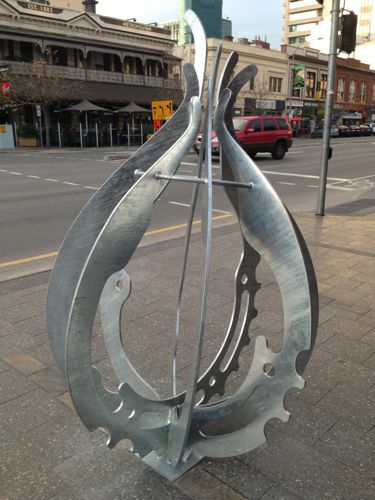 Adelaide City Council and Arts SA have commissioned South Australian artists to create large, sculptural pieces for 11 inner-city and North Adelaide locations, that either act as new bike racks or sit alongside existing ones (At the time of writing, no.s 6-9 are apparently yet to be installed ). I hope that plaques acknowledging the artists, the work's titles and dates of installation will eventually appear near each piece. Have you seen any of the others? Do you have a favourite? An exhibition has opened in Melbourne celebrating the stage and screen career of actor Geoffrey Rush. Geoffrey Rush as King Berenger in Exit the King, 2009. Photograph by Hugh Hartshorne. Many of the photographs appearing in the exhibition were taken by former Adelaide photographer Hugh Hartshorne. He’s become Rush’s favourite portrait photographer. I first worked with Hugh back in the 1980s at Messenger Newspapers – I think it was a first job for both of us. At the time, he was already a better photographer than I was a cadet reporter. After time working with the fabulous Milton Wordley, at Southlight Studios, Hugh eventually went out on his own which included moving to New York, where he has been successfully based for about 15 years. He now co-locates between there and Sydney. So if you’re in Melbourne before September 29, be sure to head to the Melbourne Arts Centre, just down St Kilda Rd, and check out The Extraordinary Shapes of Geoffrey Rush. What were we wearing in the ‘80s? In the early 1980s, my mother had a hot pink, silk, after-five dress from the Australian label Covers. It was the pink of Marilyn Monroe’s evening dress in Gentlemen Prefer Blondes, but it had the sleeve-shape and tight skirt of Krystal Carrington in Dynasty. 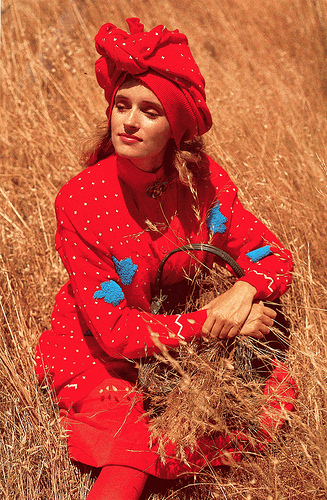 It shared equal status with her pale blue Prue Acton maxi from the mid-1970s as my favourites in her wardrobe. She wore the pink Covers dress with multi-coloured carnival glass beads hat shimmered blue, green, purple or pink depending on the light. I coveted that Covers dress. My sister got to wear once in the late ‘80s. Alas, it never fitted me. Why am I thinking about ‘80s fashions? The Victoria & Albert Museum, in London, has just opened an exhibition called Club to Catwalk showcasing London's clubbing and fashion scene in the ‘80s. A picture gallery from the exhibition by The Guardian got me reminiscing about what I wore here to the likes of Toucan Two and Limbo’s, in the West End, to Leon’s, on the Parade, and Doug Govan’s My Place, in Hyde St, Le Rox, in Light Square and later the Venue, in Hindley St. Although I lived in London at the end of the ‘80s, and even went to some of the clubs captioned in The Guardian, it’s not the mainsteam ‘80s fashions I mostly remember wearing. It’s styling straight out of the era’s video clips. When I think of ‘80s fashions, I think of high-waisted Corfu jeans, made right here in Adelaide. And Canterbury rugby tops. Yes, I had leg warmers but never stirrup pants. I loved my dusty pink thick cord jodhpurs – Stuart Membery from memory. Or were they Jag? A white lacey shirt worn with a grey-striped taffeta skirt from Cream, on Unley Rd; and shopping across the road at Naffine’s with my mother. What about the giant Cherry Lane store in Rundle Mall that you had to ride an escalator down to? Most of my work clothes came from there during 1986-88. 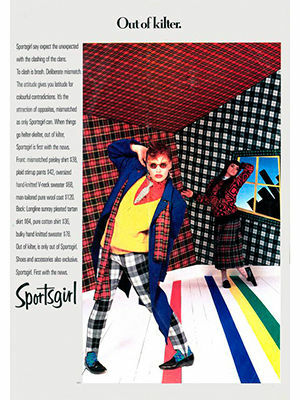 And the funny-shaped Sportsgirl store at Burnside – was it a hexagon or a pentagon? Oh, and Demasius. K-K-Katies seemed so much more stylish back then, although it’s the reverse with Witchery. Did you follow the advertising call to action that jingled “this goes with that at Sussan’s”? Now that’s an excuse to watch this blast from the past. 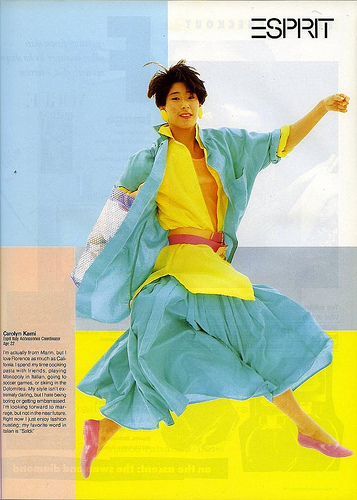 I’d love to hear what were your favourite outfits and labels from the 1980s. Maybe this slideshow below with jog the memory (click to open full gallery with captions). Today (July 18) marks the official start of a competition process to find a design for the current Royal Adelaide Hospital site. I am officially excited. In five months time, when the winner is revealed - not that it will necessarily ever be built, we now learn - I want to be shocked, surprised, dazzled and enthralled. Anything less and I will feel it's been a pointless exercise. We can do mediocrity in Adelaide quite well. This is a time for modernity. The RAH site, given its location, deserves to be treated with a development that is inspiring, culturally enriching and a structure that becomes an instant iconic landmark in Adelaide. If regional or provincial cities such as East Lansing, Michigan; Baku, Azerbaijan; Guangzhou, China; Glasgow, Scotland; Zaragoza and Bilbao, Spain, and Wolfsburg, Germany can appreciate and live with groundbreaking contemporary architecture, surely we can? Part of a portrait photograph of Friday Khalo by photographer (and lover) Nickolas Muray. Called Frida Khalo on White Bench. This is a sort of memo (and appeal) to Nick Mitzevich, director of the Art Gallery of SA. Word has it the next blockbuster for 2014 at the AGSA is going to be another dead white male, after this year’s (fabulous) Turner exhibition, although probably French. Now given Talking Adelaide is obsessed with all things French, that wouldn’t be too bad – especially, for example, if it was a visit from the collection of the Musee Matisse, in Nice. However, TA would like to put forward its own suggestion – a dead (non-white) female instead. One Frida Kahlo. As much as I enjoyed the Turner, imagine if our Art Gallery could secure an extraordinary exhibition such as this one which opened earlier this year, Appearances Can Be Deceiving: Frida Kahlo’s Wardrobe, at the Museo Frida Kahlo, in Mexico City. Reading about it is enough to make me want to fly straight to Mex City before November (when the exhibition ends). For the past decade, the Museo Frida Kahlo has been cataloguing some 300 pieces of clothing, jewellery and accessories plus documents, photographs and artworks all belonging to Frida, that were locked away after her death, in 1954, by her husband and artist Diego Rivera in a bathroom in the Blue House, the famous home they shared in Mexico City. Frida’s legacy wasn’t unlocked until 2002. Don’t you think this exhibition would push all the buttons: it’s 20th century, modern, has fashion/textile overtones, is about a culture so different from our own, has disability themes (so topical here) female empowerment and given that Mexican food is so popular now, we’d get all those hip and groovy types from Melbourne and Sydney to travel here. People do travel for art – the Turner attracted heaps from Perth apparently. Oh, and the curator is now based in Singapore – so lots of publicity there, handy marketing link to Singapore Airlines? And also Vogue, as the Mexican edition had a hand in mounting the exhibit. As always, let me know what you think – this is the kind of “blockbuster” I’d love to see here. 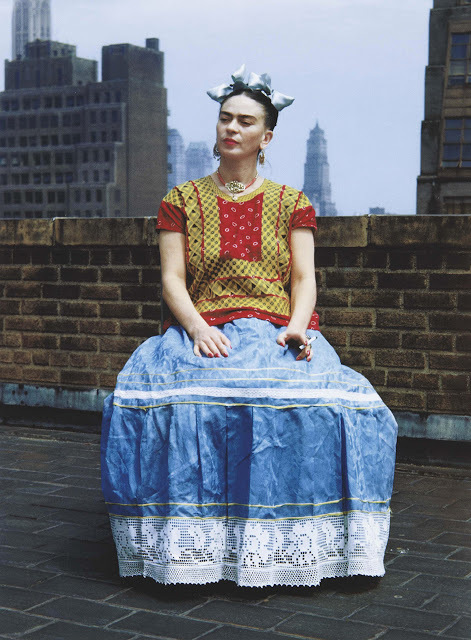 Classic Frida by Nickolas Muray. It was the out-there wishful thinking of Adelaide designer Peter Coombs to use an old bowling alley for the “gin bar” inside the newly renovated Salopian Inn, McLaren Vale. The salvaged wood has gone into the main bar top as well as four others dotted around the Salopian, together measuring 17m in length. Coombs was also integral to another inspired piece of recycling, choosing old Fowler Vacola glass jars for the restaurant’s interior lighting. The Salopian restaurant and bar is a partnership involving well-known McLaren Vale chef Karena Armstrong and her husband Michael; along with wine-making couple Elena and Zar Brooks, of Heirloom Wines. If you are into 20th century art, particularly the art movement called Pop Art, you can now pick up your very own limited-edition piece of Andy Warhol for just $1.99. But as they say in advertising, you better be quick. Found this stack of hyper-coloured soup cans on the end of an aisle in my local Woolworths last Friday. Instead of the iconic red, white and gold label of Campbell’s condensed tomato soup, was this mash-up of purple, teal, pink and yellow that warranted a closer look. 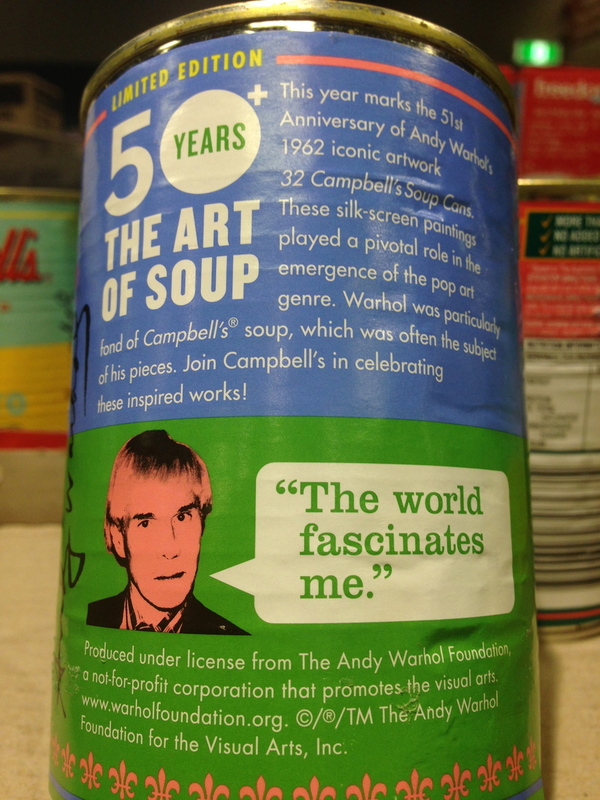 The back labeling revealed this was a special series (discovered to be a limited run of a small 1.2 million) done by Campbell’s to mark the 50th anniversary of Warhol’s famous soup can painting series. Apparently the original ticket price in the States was just 99 cents US too. You do the maths. The work 32 Campbell’s soup cans is in the wonderful Museum of Modern Art (MoMA), in New York. 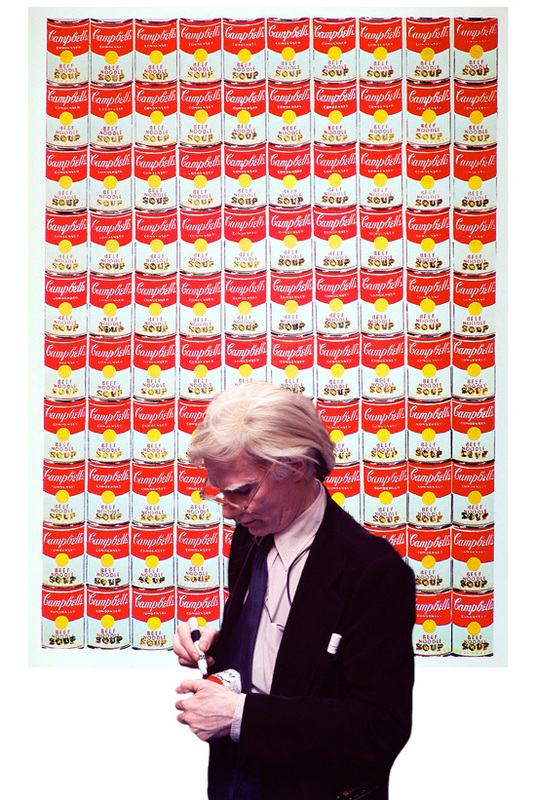 You can read about it here (see Warhol pictured in front of it below). Not sure how these cans, which were made a year ago for the US market (the anniversary was in 2012) and distributed there with Target have ended up in suburban Adelaide – a little worse for wear, I might add. Still it was a bright moment on a dreary winter’s day. Have you seen them in your supermarket?